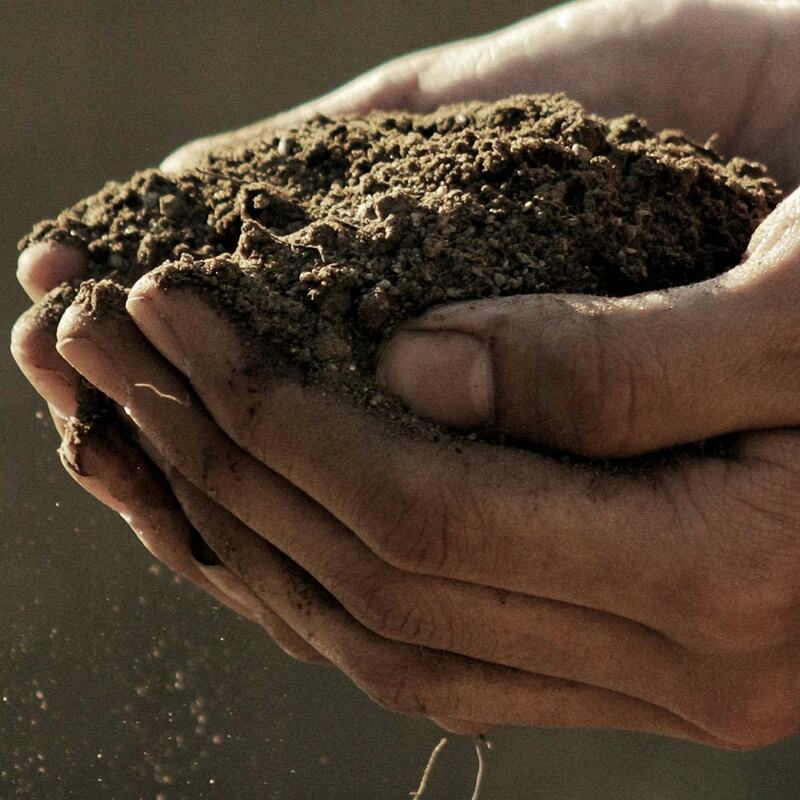 SUPERU is a urea-based granular fertilizer containing active ingredients to protect against all three forms of nitrogen loss – volatilization, denitrification and leaching. In the 2017 study conducted by the University of Missouri, eight inches of rain fell within two months after fertilizer application, creating conditions where protection against denitrification was needed. In 2018, conditions were more favorable for losses due to volatilization. 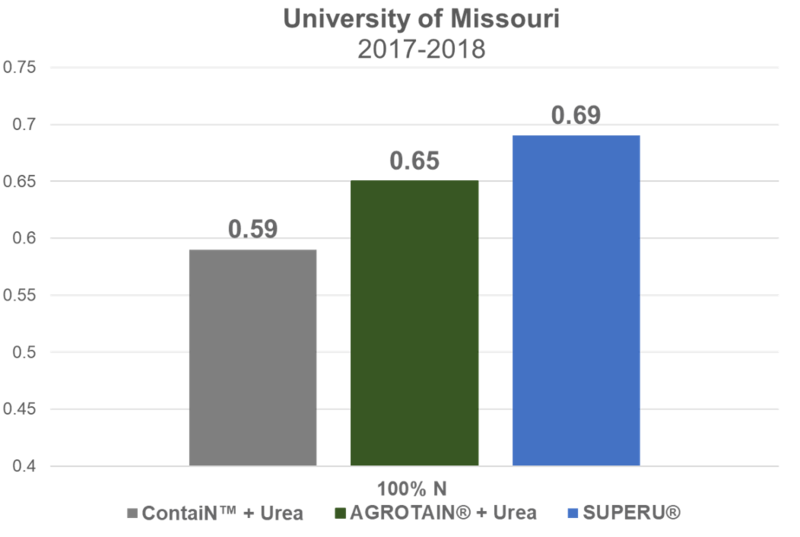 With proven active ingredients for both below- and above-ground protection, SUPERU outperformed ContaiN by an average of 13 bu/acre. 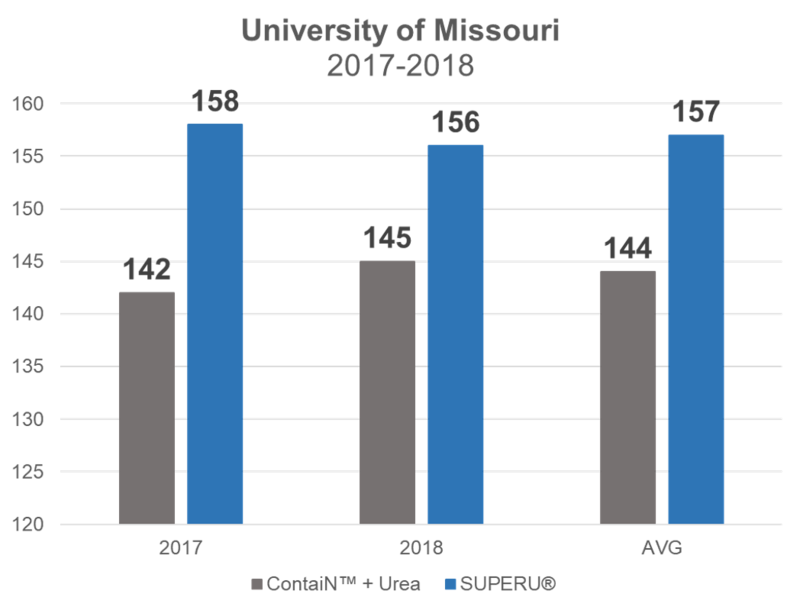 Over the two-year study, SUPER fertilizer increased nitrogen-use-efficiency (NUE) by an average of 17 percent. AGROTAIN, the original, most-research proven urease inhibitor, protecting against losses due to ammonia volatilization, increased NUE by 10 percent over the two-year study compared to urea treated with ContaiN. To learn more about our science-based products and how KAS products can protect your nitrogen visit SUPERUfertilizer.com or AGROTAIN.com. For more information about the studies, contact your strategic account manager today or visit your local retailer. The underlying data was provided by University of Missouri under a Research Trial Financial Support Agreement with Koch Agronomic Services, LLC. Neither the university nor the individual researchers referenced, endorse or recommend any product or service. ContaiN™ is a trademark of AgXplore.